In the Empire period, A betsy is a pleated starched collar worn around the neck just like in the 16th century during the Elizabethan Age. 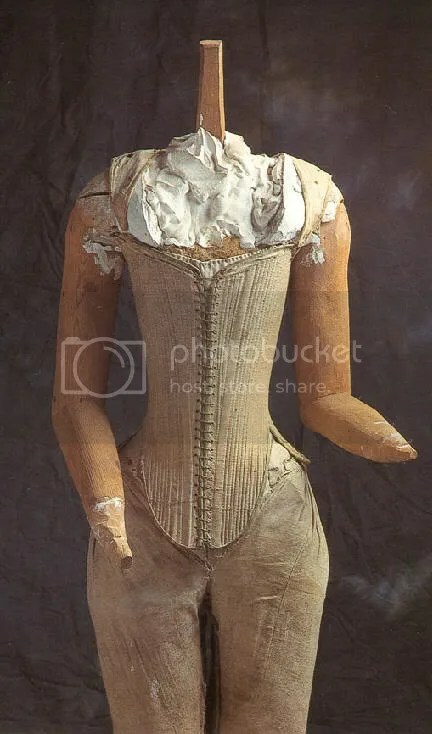 The older version of the betsy was also worn around the neck and was also starched and pressed to make the ruffle around the neck. This garment was called the cartwheel ruff. During this time, the corset was also a reoccurring garment that appeared in the empire period. The corset was to form fit the women around the bodice so that a dress may be worn with a skinny waist and a wide skirt. The corset still exists as of today, but with a modern twist to fit today’s styles. The long headdress veil was adapted from the Greeks and worn over women’s short hair. And braces, also known as ribbons were reminiscent of the greek girdle to support their petticoats. As much as we say history repeats itself, clothing also repeats itself but with a more refined look. Reoccurring garments and accessories keep repeating because the consumer is willing to buy this garment. In order to keep the garments new, and fresh, designers revise it to put a different style or feel so that the consumer can keep coming back for more. 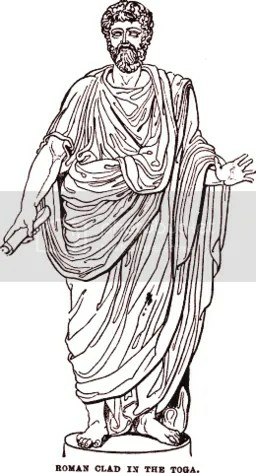 Men in today’s society do not wear togas, but a circle scarf in modern day times represent some kind of resemblance to the clavi that is usually sewn on a tunic or toga and would represent the rank that person is in society. Through it is unsure if the picture of a roman man is accurate, I think the thickness or thinness of the clavi is similar to the circle scarf just by itself and not attached to the tunic or toga. The reason why the circle scarf is probably popular today is because instead of a regular straight scarf wrapping around the neck a dozen times, it is easier and more convenient to wrap the circle scarf around the neck. These circle scarves are sold in RTW stores like Urban Outfitters, American Apparel, and Forever 21. 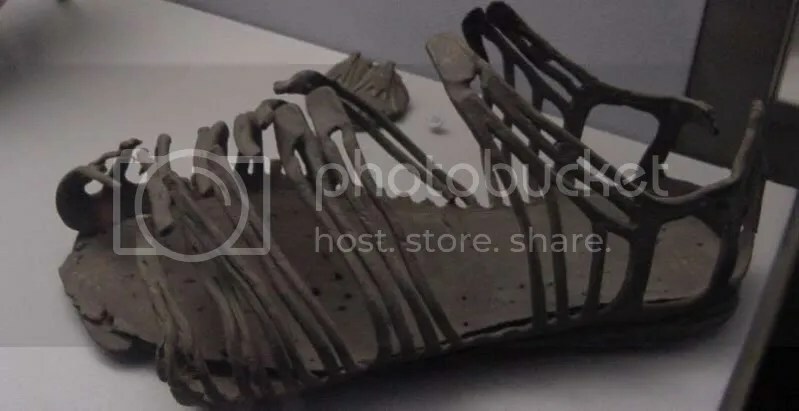 Footwear of the Romans were these sandals. Though the Romans sometimes did not wear sandalis or solea at all. Places like urban outfitters sell the modern day roman sandals but with a modern day twist. Mostly all are made of leather and display many straps and different lengths reaching as high as the knee. The reason why sandals are probably popular today is because during the spring and warm weather, these sandals gave a different type of style to the RTW business. 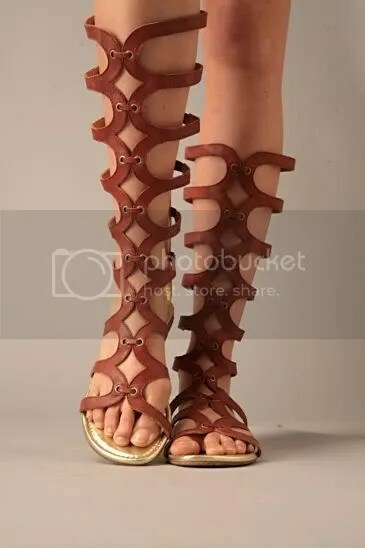 Along with the Roman sandals, the women of Rome wore Stolas. This type of dress can be seen worn on the red carpet or at any RTW place selling elegant dresses. 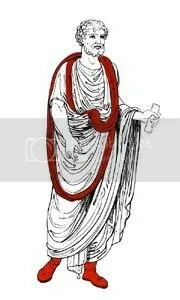 This type of garment is repeated probably because of the smooth rhythm of the drapery and the asymmetrical balance of the one shoulder toga. The white color of the garment represents the importance of rank during the Roman period, but as of today, there is no symbolic means of ranking, just the elegant feel of the garment. Various of people blog about this issue but you wrote down really true words.